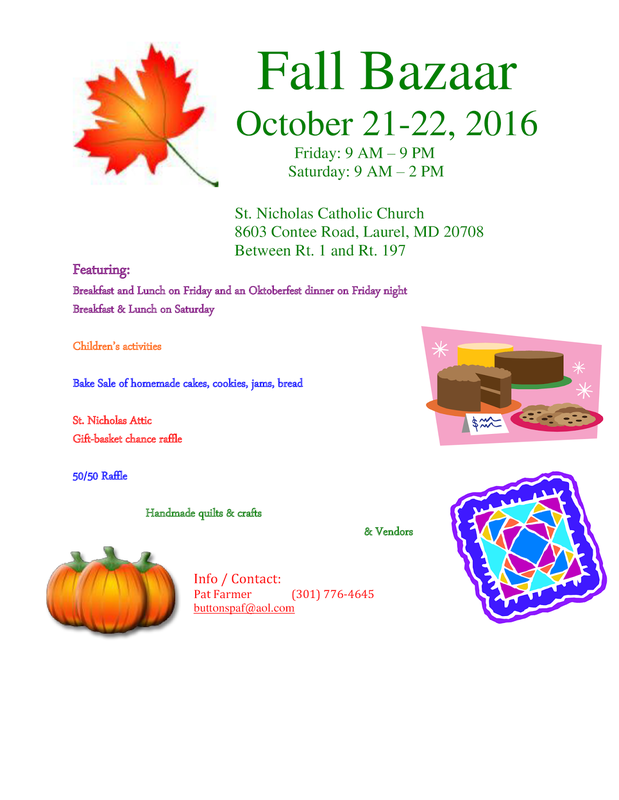 The church is located at 8603 Contee Road, Laurel, MD. an Oktoberfest Dinner is held on Friday night. Grand Raffle tickets will be available at the bazaar. For more information, contact Pat at 301-776-4645.